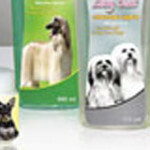 When the sun shines bright in summer, pooches need to be groomed regularly to keep them fit and fine. Here are a few summer grooming tips. Keep them tick-free : In summers, regular use of tick powder, shampoos and sprays will protect your pets from fleas, ticks and mosquitoes as these parasites can cause skin irritations and disease . Brand ed tick collars are recommended to keep them at bay. Bathe when required: Do not over-bathe your pet, thinking it’s too hot as the pet’s skin will lose the essential body oils. Do not give your pet a bath more than twice or at max, thrice a month. Brushing to health: Many breeds are not meant to live in our Indian climate so regular brushing is mandatory for all especially double-coated breeds, as they can be very miserable and even overheat. Grooming for skin care: Regular grooming of shorthaired dogs such as Labs, Boxers, Dalmatians, etc., will help control shedding and skin related issues. Visit a groomer: As the mercury rises, regular visits to a professional groomer will help keep several health related problems under control. Pooches: your kid’s best tutor..